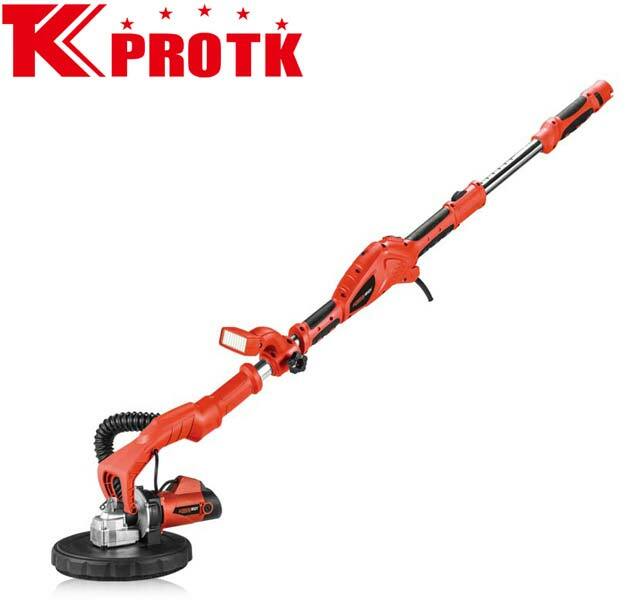 We are a renowned manufacturer, supplier and exporter of Drywall Sander (TK-2302) from Yongkang, China. This dry Sander of 750 Watt has variable speed of 0-1800 rpm. It has many exclusive features like extendable aluminium tube, external brush caps for easy access and rotational LED light device for different areas. Our packaging also includes accessories like sanding paper (6pcs), internal hexagonal wrench (1pc), carbon brush (2pcs), 4 meter soft tube (1pc), adapter (1pc) and screwdriver (1pc). External brush caps for faster and easier carbon brush changes. Rotational LED light device for different lighting area.